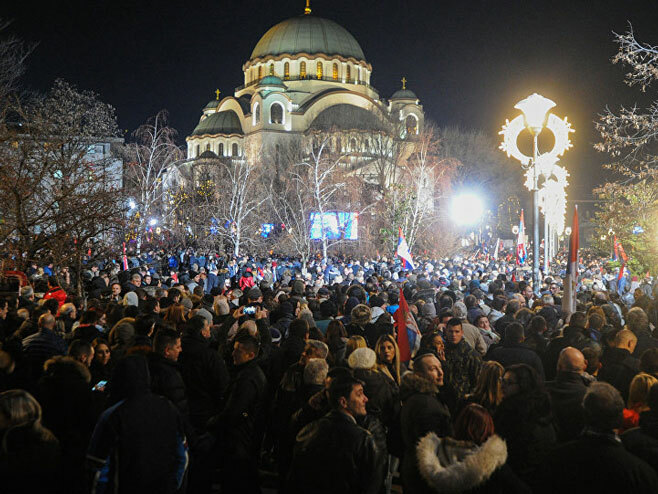 During his official visit to Belgrade on January 17, President Putin visited St. Sava Cathedral with Serbian President Vučić. He was welcomed at the cathedral by Serbian Patriarch Irinej and bishop-vicar Stefan of Remezja, in the presence of the members of the Holy Synod. The Russian president first visited the crypt, now ready. The two presidents venerated the icon of Christ and lit a candle. They then went up to the ground floor, where the mosaics continue to be installed, under the direction of the Russian academician and iconographer Nikolai Mukhin. He showed the works in progress to the two presidents, who assembled some squares on the mosaic of Christ. According to police estimates, 120,000 people were gathered outside the cathedral to greet the Russian president. You can watch this visit in the video here below.